On November 6, 1970, the legendary Elvis Presley bought a .357 Magnum at Kerr’s Sporting Goods in Beverly Hills. Who would have ever guessed that in 2017 that very same gun would sell at auction for $175,000? Well, it did. The California based auction house, Moments in Time, completed the sale. 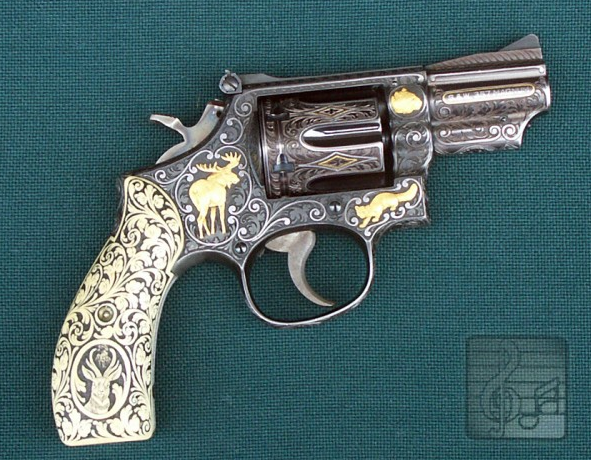 The revolver was very detailed and carefully engraved by an artist in the German Frederick Wilhelm Heym Company, Guns.com reported. It was ornamented with gold and silver and featured a handle dressed in ivory. The sale also included a made-to-order leather holster that features a one-of-a-kind leather zipper case that includes Elvis’s name on one side. The gun also illustrates a bear, bobcat, moose, mountain lion, and puma. The sale also came with the firearm registration documents that feature Elvis’s signature. The auction house is also offering two vehicles up for sale for $1.5 million each. One of the cars, a BMW, is the one that Tupac Shakur was shot in 1996. The other is a GMC Suburban in which Notorious B.I.G. was shot in just months later.